Gold investments have gone up in recent years because it is now common knowledge for investors that the economic climate is changing and that the value of currency, shares and even real estate is prone to change and devaluation. Many people find that the safest way to protect the real value of their savings is by investing in gold and protecting their money from the damaging effects of inflation and currency depreciation. There are quite a few ways to invest in gold directly or indirectly and it is always the sensible choice because gold never loses it value. If anything, it grows in value over time and the investor is able to get more benefits if he\she converts it into liquid funds after several years. Not to mention that the value of the savings will have been fully maintained and no part of it would be lost. In order to invest in gold effectively, you can buy mutual funds of gold; invest in gold mining prospects, and simply owning the metal itself and retaining it in the form of an IRA (individual retirement account) or by storing it with a financial institution. There are costs to this as well as taxes need to be paid on the gold either when withdrawal takes place or periodically such as monthly and so on but the investment is a solid one regardless. Another one of the beneficial qualities of gold is that it always rises in value and price whenever the dollar depreciates in the financial market. There is an argument that central banks of most countries do not recognize savings that exist in the form of gold but economists now agree in full throttle that the future is inevitably to be found in gold and other precious metals that are capable of retaining value come rain or shine with regards to the economy. Direct ownership is the most lucrative way to store gold and the best way to minimize loss which may occur in the form of shares become devalued when the gold mining industry takes a hit for example. Gold equals money and even though the gold is accumulated and cannot be used in a liquid form at short notice, it still creates a fund for retirement. This type of gold ownership can be in the form of jewelry or mint coins and even bricks of gold depending on what the investor prefers. Note: This article originally appeared at MoneyMiniBlog. Kalen of MoneyMiniBlog.com is passionate about helping you master your finances and maximize your productivity. He defies millennial laws by having no debt and four children. 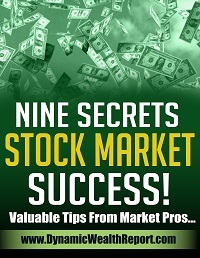 You can get his two ebooks, plus two personal finance classics (yes, all for free) right here (http://moneyminiblog.com/free-moneyminibook/).